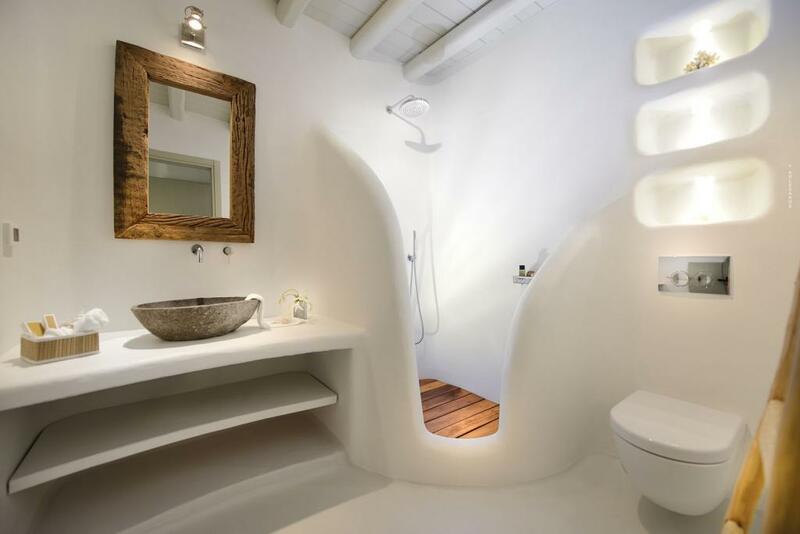 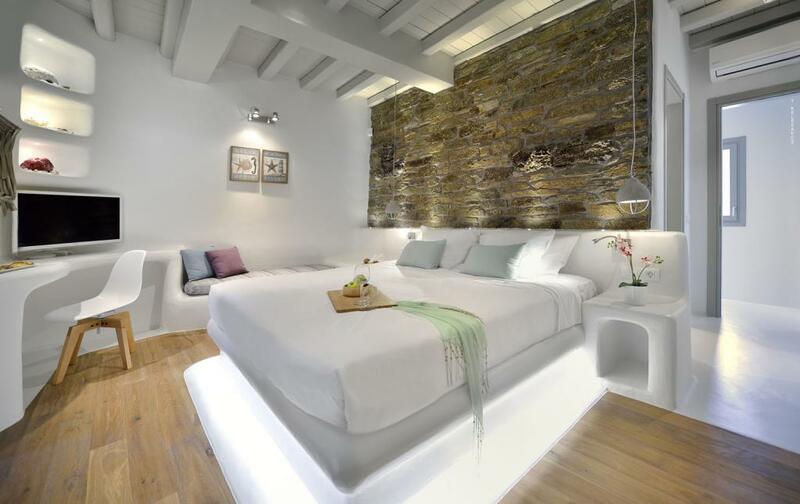 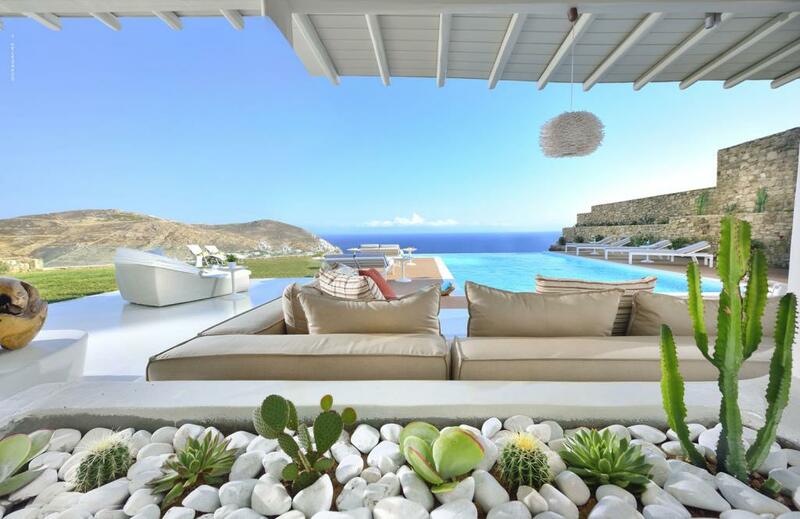 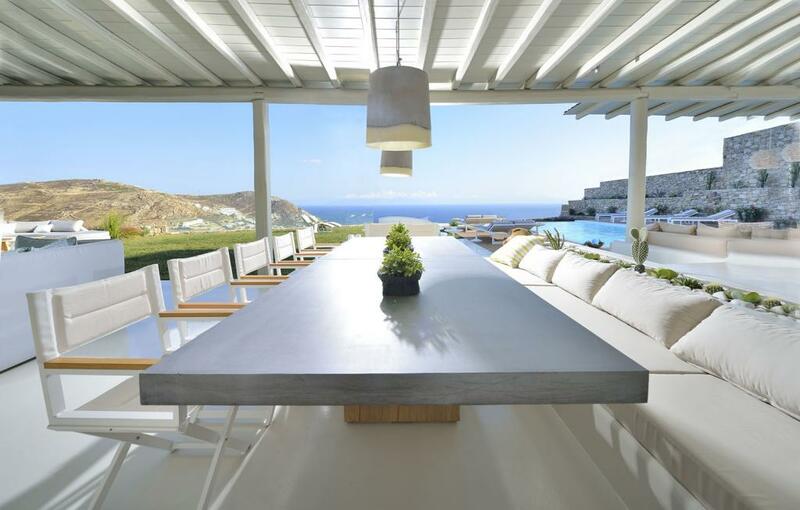 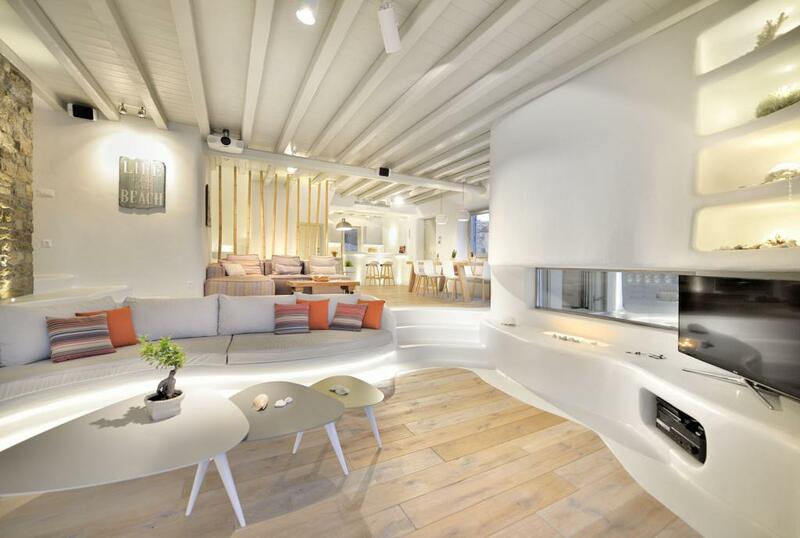 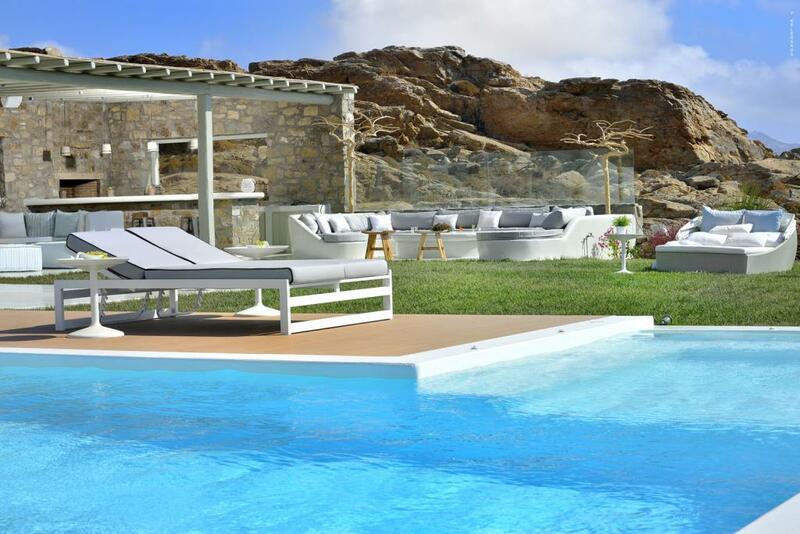 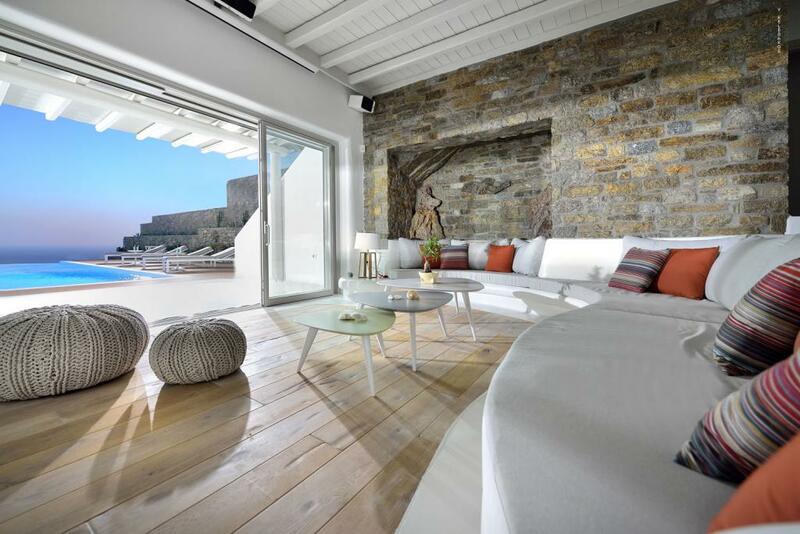 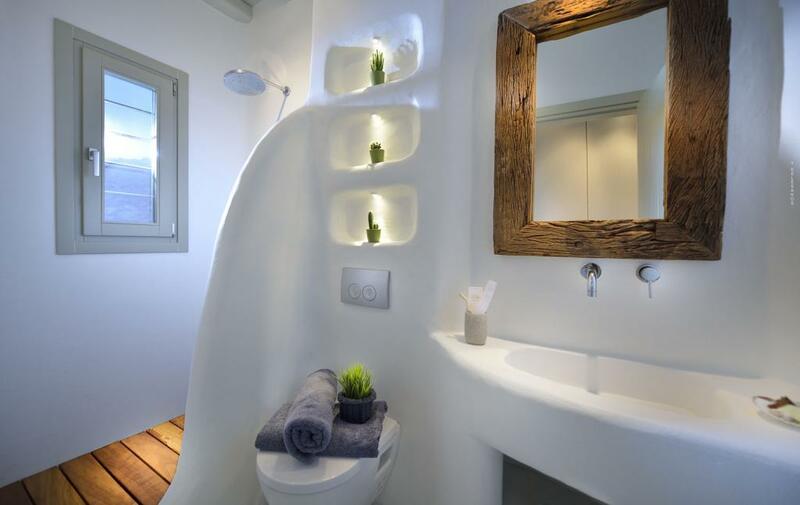 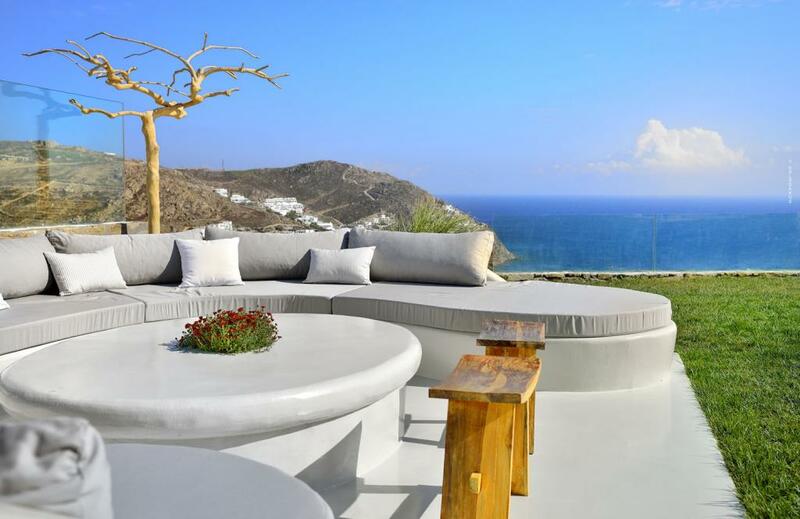 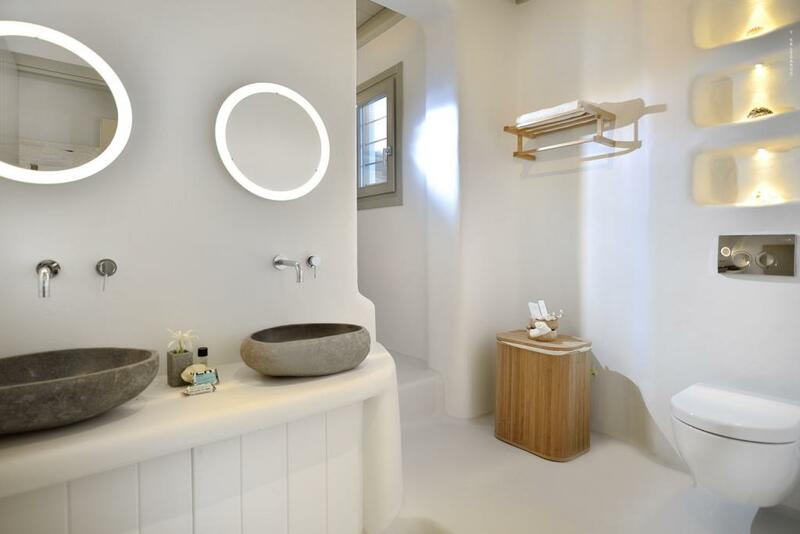 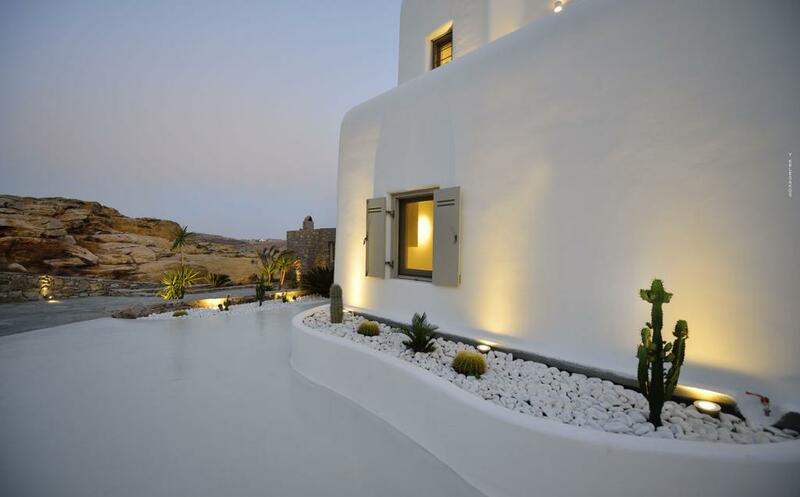 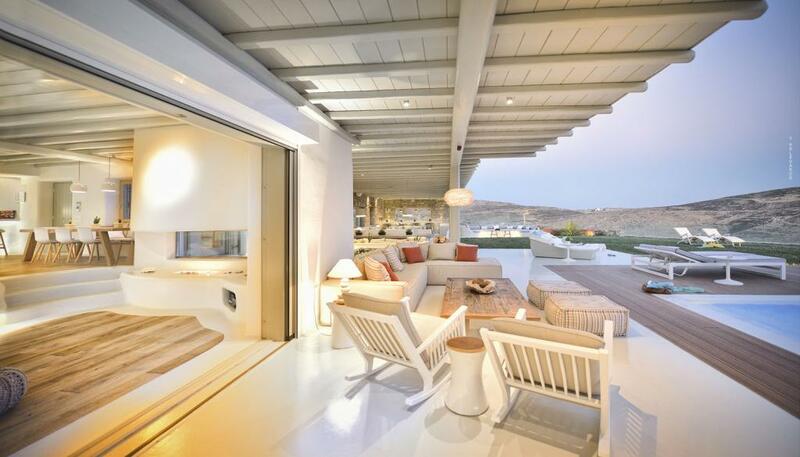 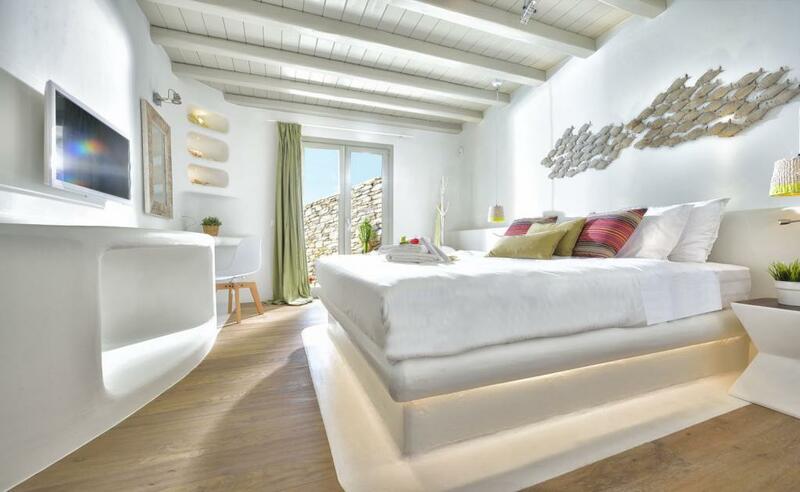 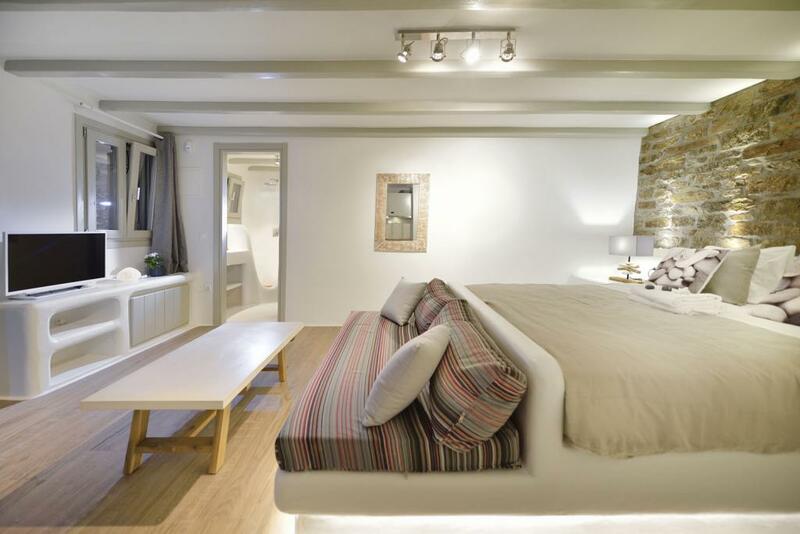 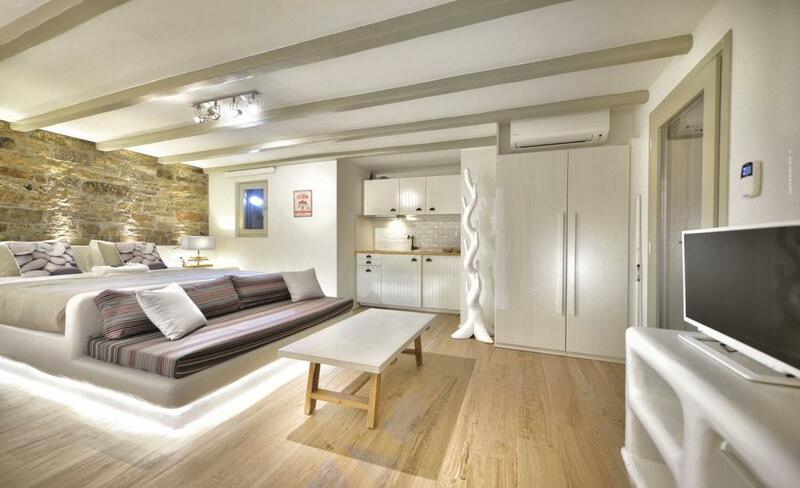 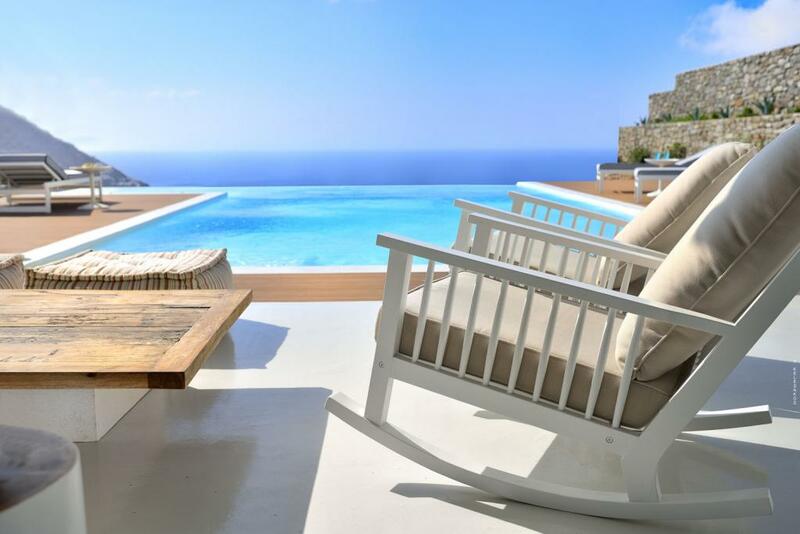 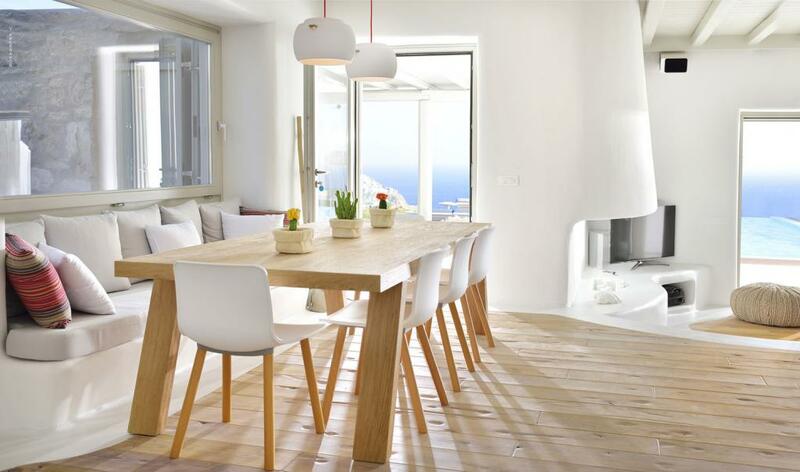 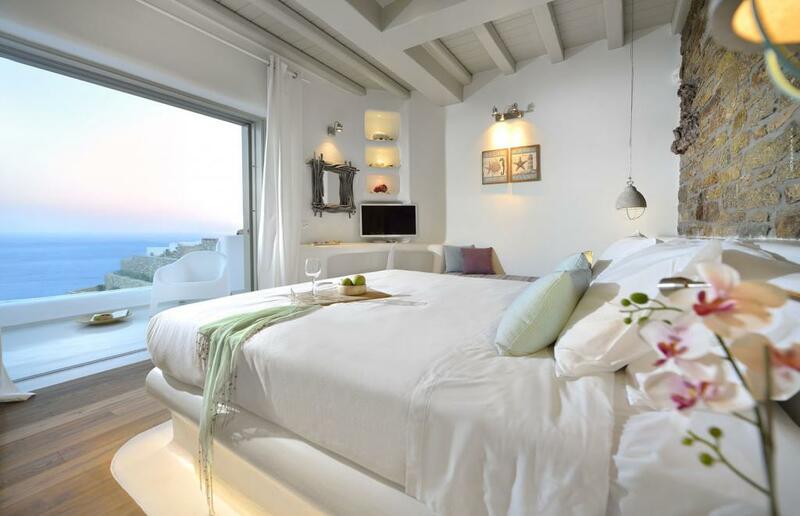 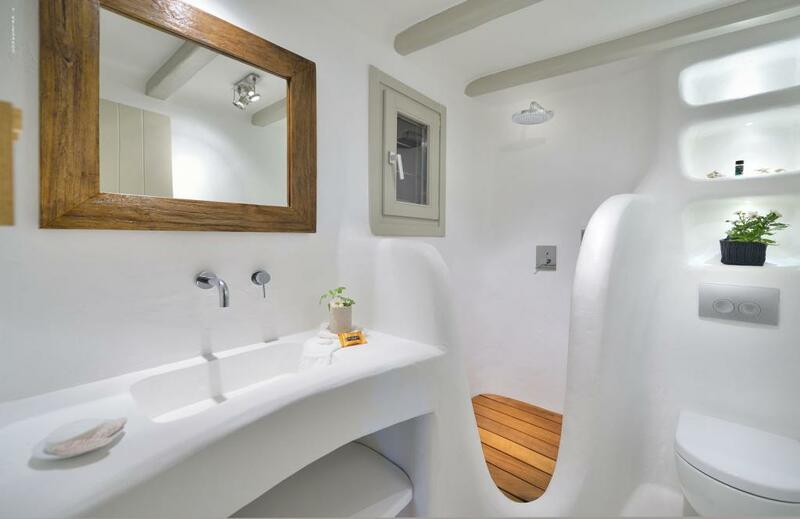 The “White Lady” is a stunning brand new villa in the island of Mykonos, dressed in the traditional sparkling white, overlooking the beautiful Elia beach. 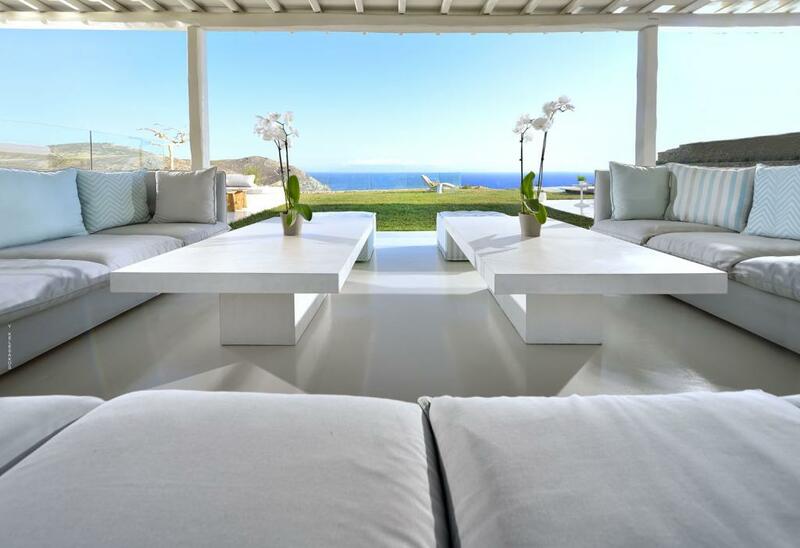 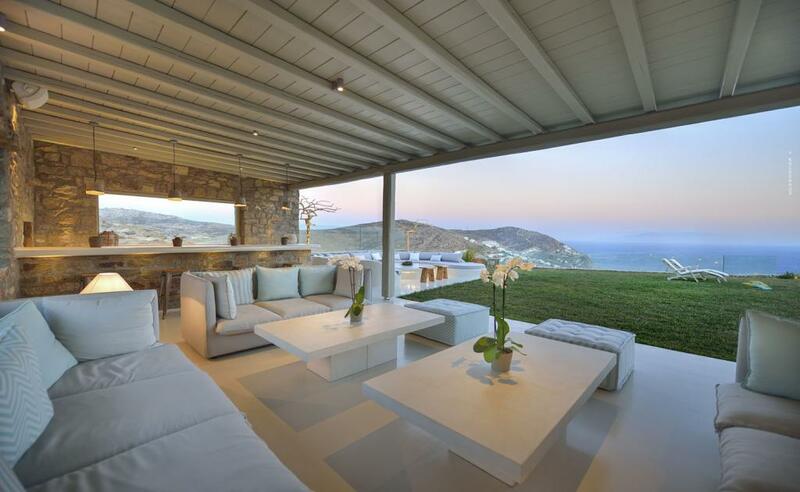 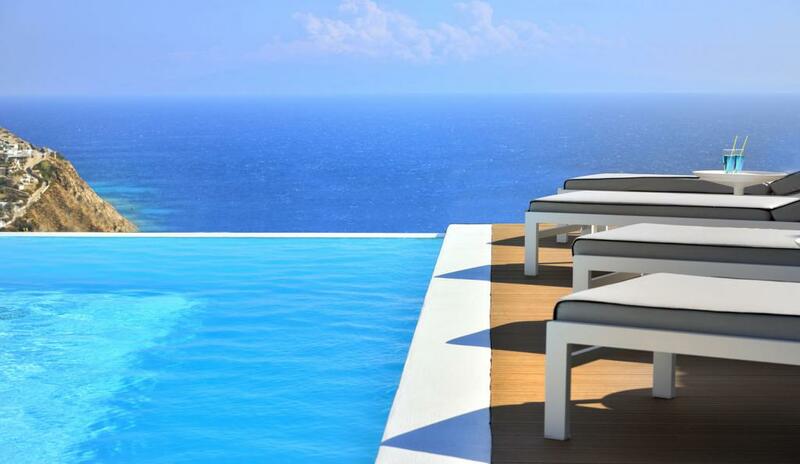 The villa’s position offers endless views over the horizon, a true balcony in the sky! 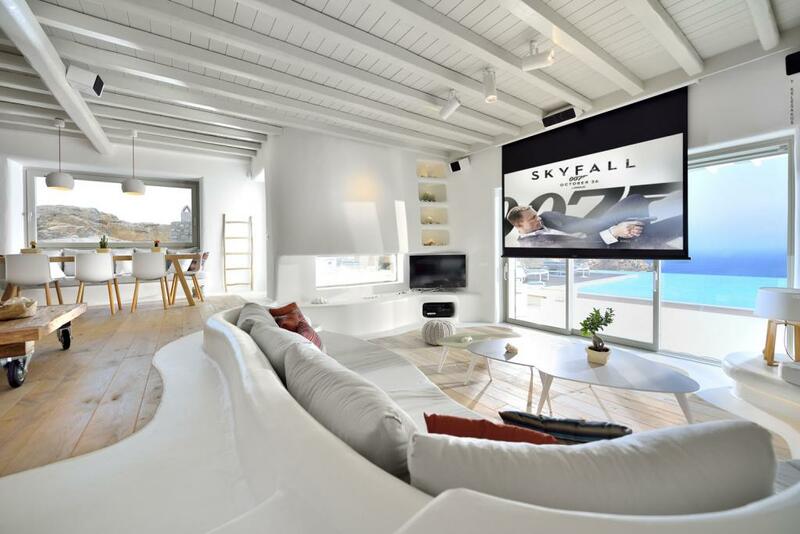 Designed by an award winning studio, the “White Lady” provides spacious accommodation across 310 sq.m., consisting of 6 ensuite bedrooms and impressive indoor & outdoor living spaces, which are luxuriously furnished to the highest quality and detail. 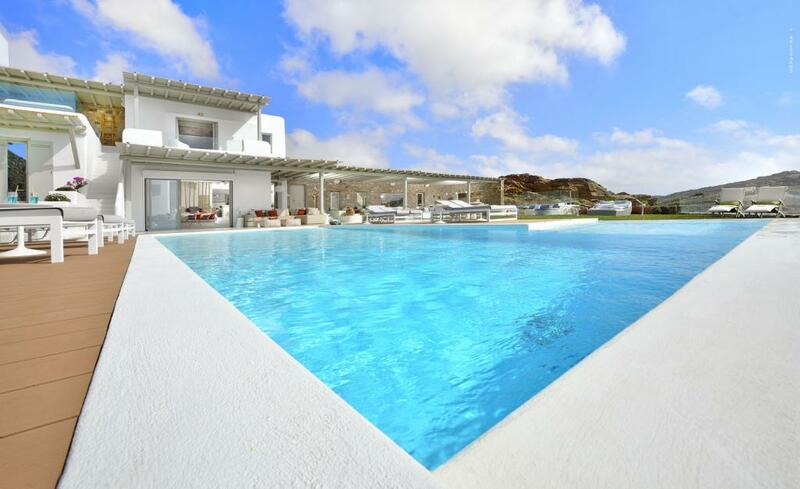 The large infinity swimming pool with its 4-person Jacuzzi, is surrounded by carefully landscaped gardens. 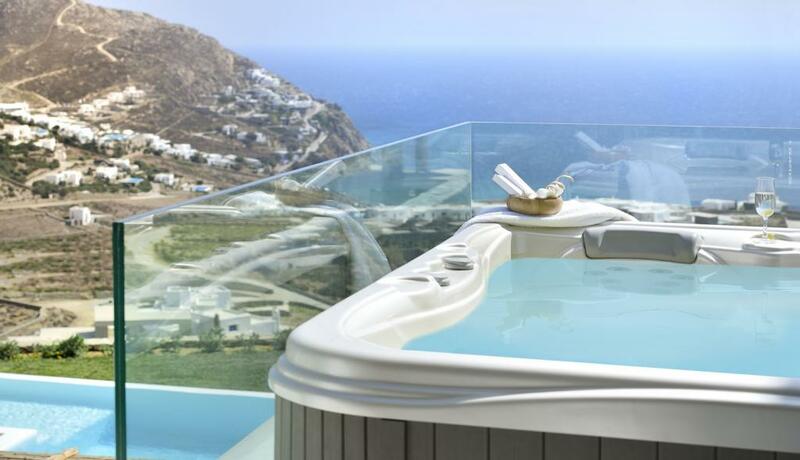 An extra air Jacuzzi can be found on the 1st floor balcony, next to the master bedroom, an opportunity to enjoy a unique experience under the glowing night sky. 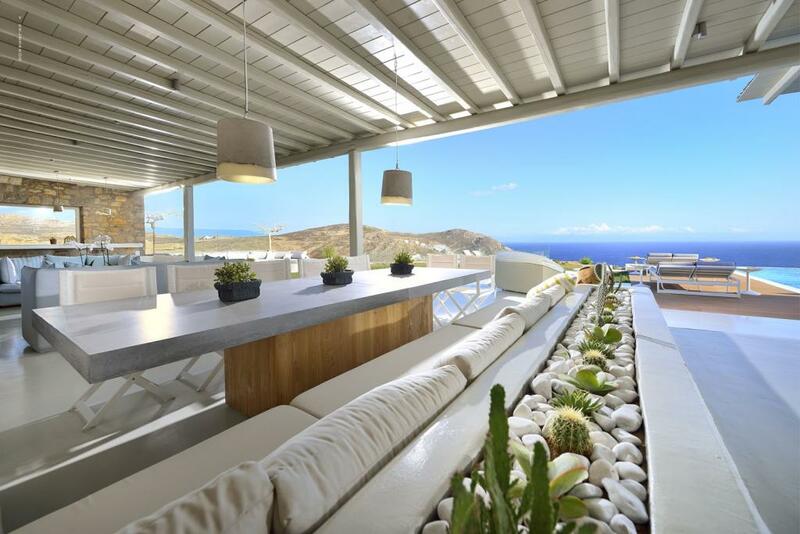 The large outdoor dining area, with the bar and the BBQ, and the superb pool lounge create an unforgettable summer living experience. 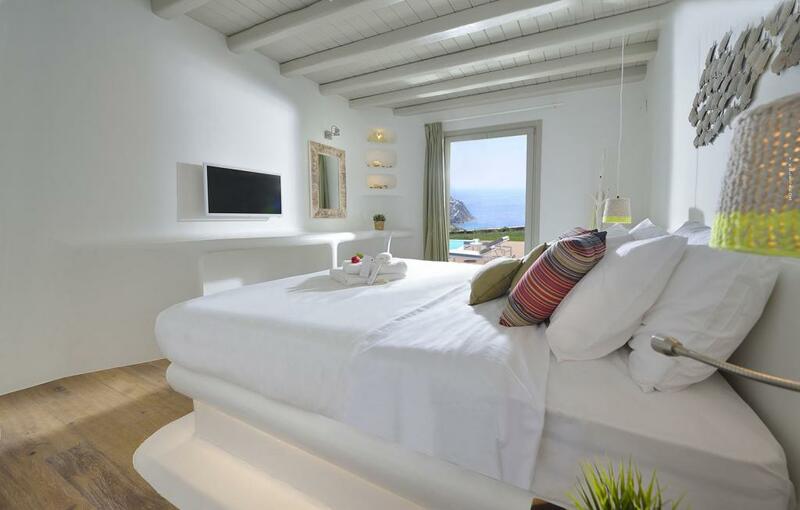 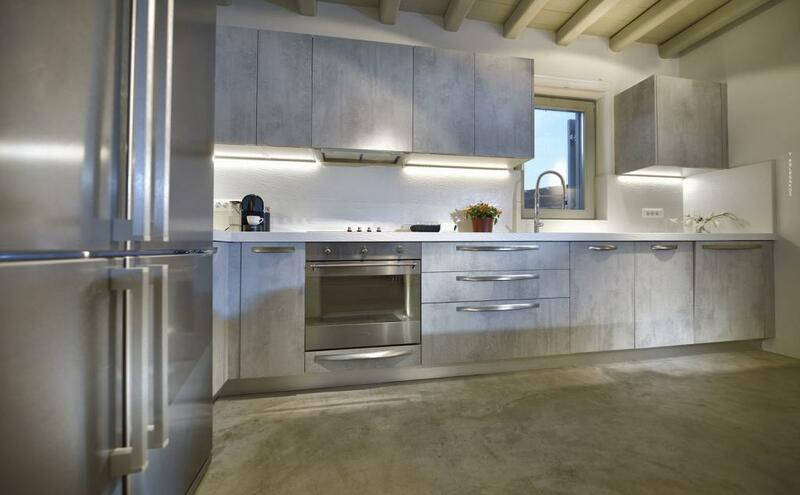 The villa is fully equipped with the latest technology audio-video systems, including Smart TVs in all bedroom and a large Home Cinema Projector, Wi-Fi, air condition in all rooms and covered private parking for 6 cars.